Travel Photography Gear Guide 2019 | What Gear Do I Use? 3 years ago I wrote an article about the gear I use for my Travel Photography; a lot has changed since then and so it’s now time to write a new, more complete version about it. Welcome to the Travel Photography Gear Guide 2019 version! I’ve been a strong believer of mirrorless cameras since the beginning, as I could just see advantages in using them: lighter, more portable, less mechanical parts, and more advanced from a technological standpoint. I’ve started with the Panasonic GM1, then moved to the Olympus OM-D E-M1, and I have now settled with whom I think is, at the moment, the best camera manufacturer: Sony. You can get the Sony a7RII on [Amazon | B&H]. This full-frame mirrorless is my main camera since April 2017, and I am very happy with it. What I love the most is its file quality, which still surprises me to this day. The resolution of this camera (42,4 megapixel) and its dynamic range are what makes it the perfect tool for what I do. 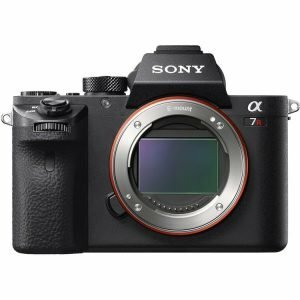 It’s a workhorse and it can actually be found at the links above at a great price as a few months ago the new version (a7RIII) has been launched. CONS: it’s a bit slow if you need to zoom in to check out the shots, but that’s not a problem for what I do. It doesn’t have a touchscreen, very useful for quick AF adjustments. IF YOU NEED MORE: I can certainly recommend the Sony a7RIII [Amazon | B&H]; I’ve tried it and it’s really awesome as it addresses the few “problems” of its predecessor: it’s a faster camera, with better AF performances, greater battery life, a dual SD slot, and it has a touchscreen. IF YOU NEED LESS: if you don’t need all these megapixel, I highly suggest you get the Sony a7III [Amazon | B&H] which is an incredibly versatile camera, basically The Camera for all those who don’t need super high-resolution pictures. While if you want to enter the “Mirrorless Full-Frame world” and save some bucks, you can go with the Sony a7II [Amazon | B&H].